These and all other images © Marvel. 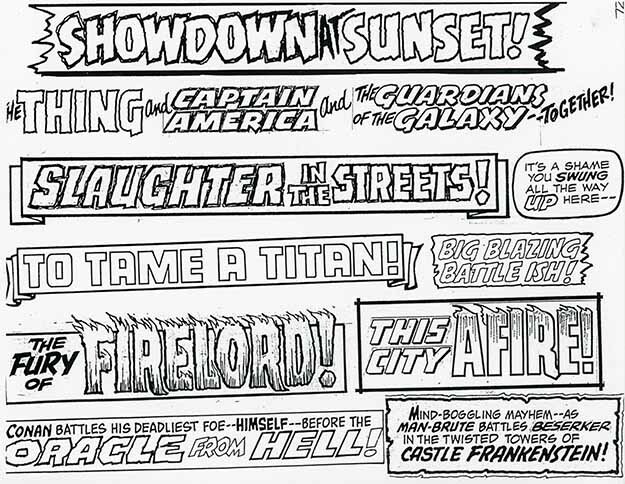 Continuing my look through a set of photocopied cover lettering and related material from the files of Marvel letterer Danny Crespi compiled by his friend, work-mate and fellow letterer Phil Felix. This time covering pages 69 to 72. Page 69, above has only two blurbs. I can’t find a source for the first one. 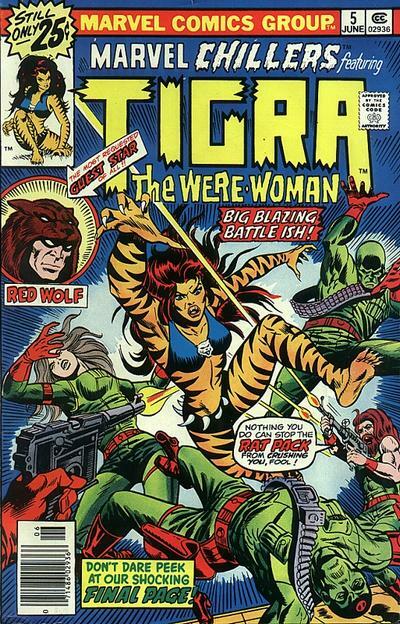 The second is on the cover of MARVEL FEATURE #5 cover-dated July 1976. Very effective display lettering from Danny. Page 70, above has three blurbs, the center two are a single one. 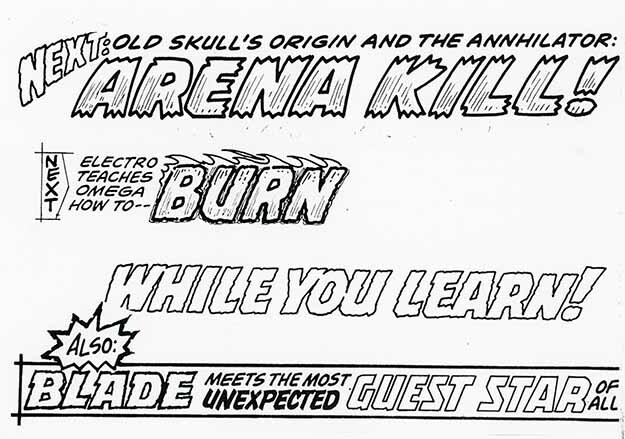 The top blurb was used on the final page of AMAZING ADVENTURES #36 dated May 1976 as a next issue teaser. 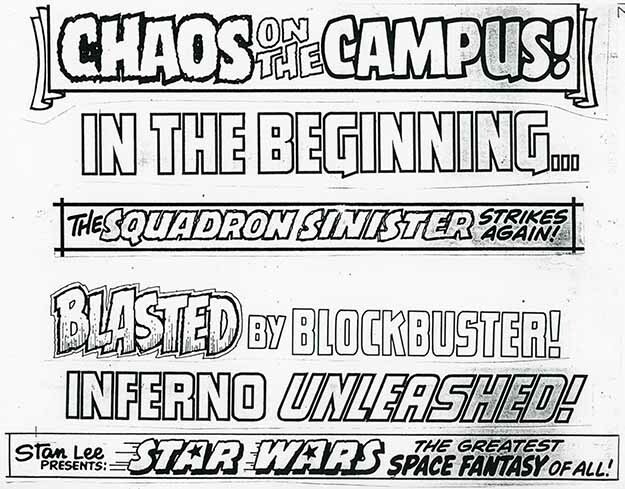 The second blurb was a next issue teaser on the last page of OMEGA THE UNKNOWN #2 dated May 1976. 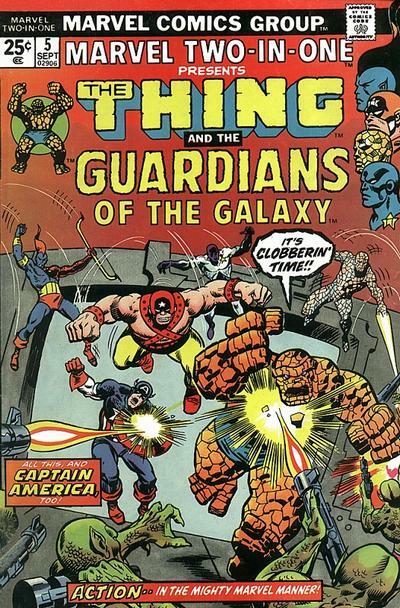 Danny was not the letterer of the rest of these pages, so most likely the next issue teasers were not written yet when the rest of the pages were lettered, leaving them to be done by Danny in the Marvel production department. 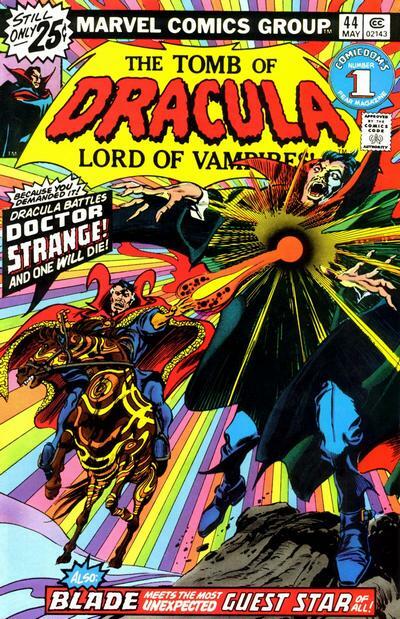 The last blurb was on the cover of TOMB OF DRACULA #44 also dated May 1976. Page 71 is all by Danny except “Blasted” which is by Gaspar Saladino, also a frequent cover-letterer at the time for both Marvel and DC. 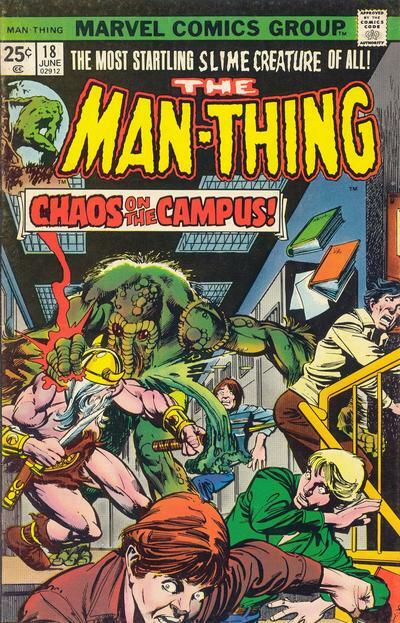 The top blurb is on the cover of MAN-THING #18 dated June 1975. I really like the banner caption on this one. 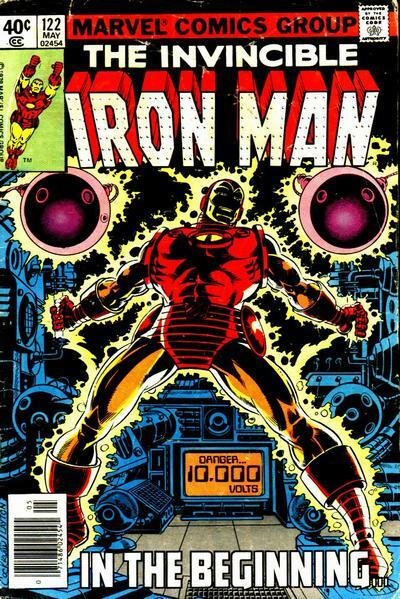 The next blurb is from IRON MAN #122 dated May 1979. These very regular open block letters may have been pasted together from an alphabet of such letters made by Danny. If so, someone else in Marvel’s production department would have done that. 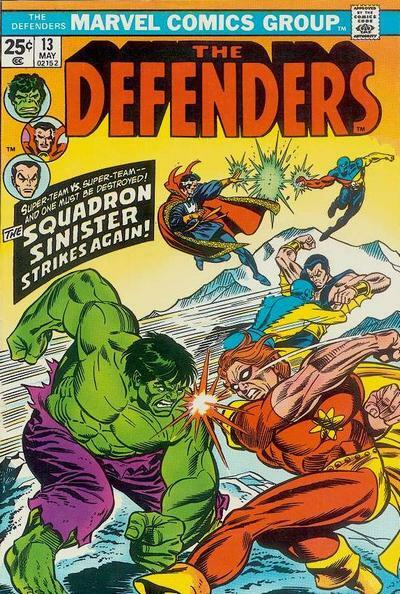 I haven’t found the exact lettering for the third blurb, but DEFENDERS #13 has the same text in a different shape. The one on the page above may be an earlier version that was redone to fit the space better. 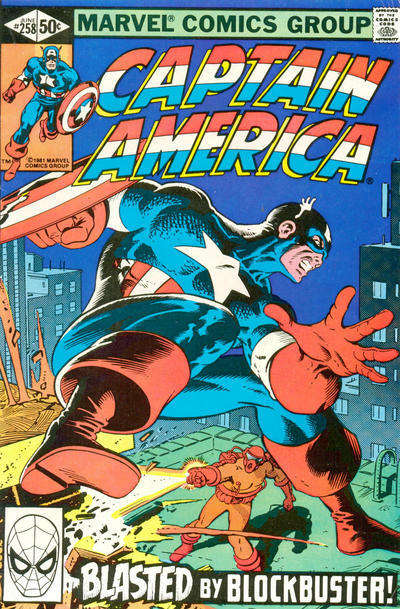 Here’s the one by Gaspar on CAPTAIN AMERICA #258 dated June 1981, and the letters have an added black caption box behind them. Not sure why, but I don’t like the look of this as much as the original. Maybe it was felt it would be hard to read without it. 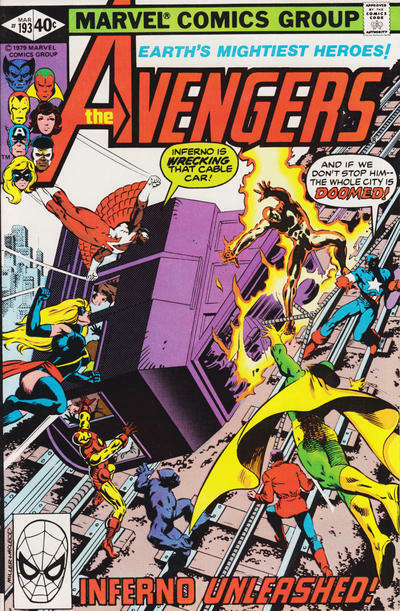 The blurb on AVENGERS #193 dated March 1980 could again be pasted together block letters previously done by Danny. 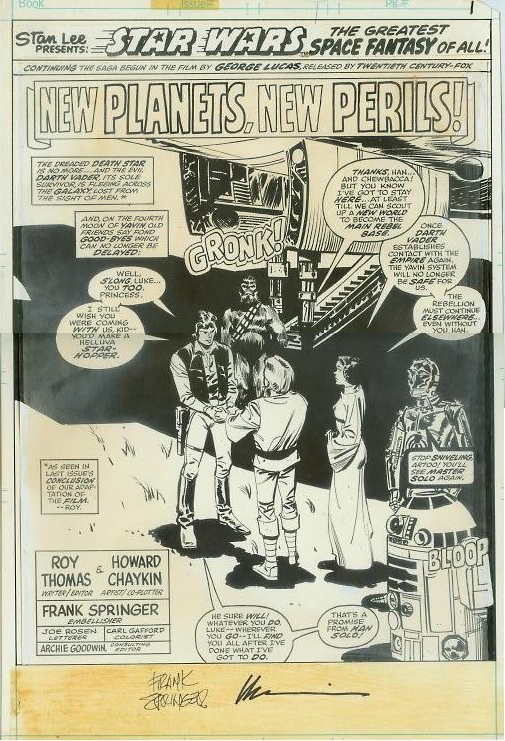 The last blurb ran at the top of the first page on many early issues of Marvel’s STAR WARS comic. It was probably lettered by Danny for issue #1, but the earliest image I can find is this page of original art from issue #7, Jan. 1978. Page 72 of the Crespi Files has five by Danny Crespi, four by Gaspar Saladino and one I’m not sure of. 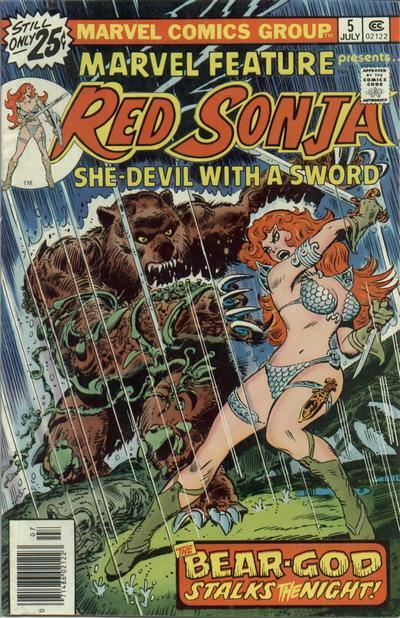 I can’t find the second blurb by Danny, but this comic, MARVEL TWO-IN-ONE #5 dated Sept. 1974, is the only one that seems to have the right combination of characters, so I’m guessing that blurb appeared as a next issue teaser on issue #4. I can’t find an image of that. 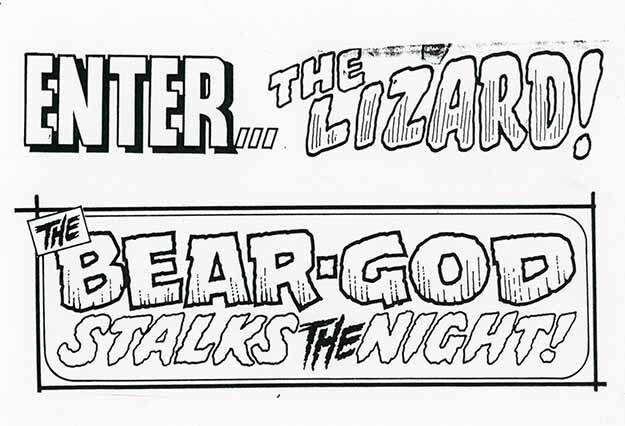 The blurb in the banner by Gaspar is from JUNGLE ACTION #20 dated March 1976. The black banner works better this time. 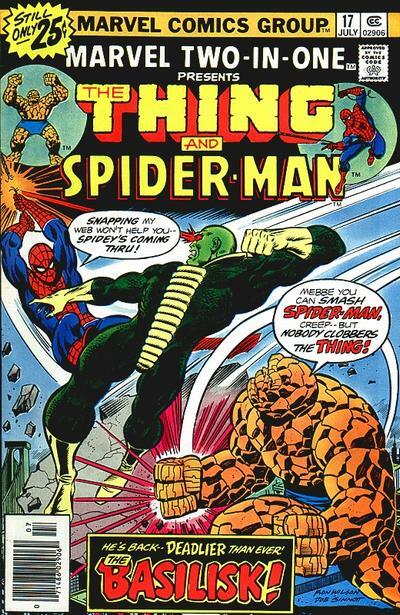 The word balloon by Danny is from AMAZING SPIDER-MAN #182 dated July 1978. 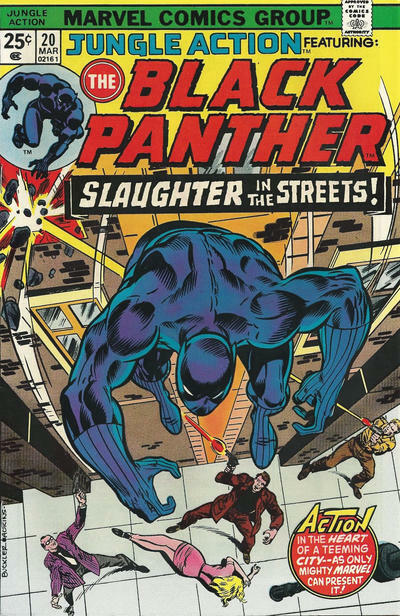 That nearly rectangular balloon shape is reminiscent of early Marvel cover-letterer Artie Simek. 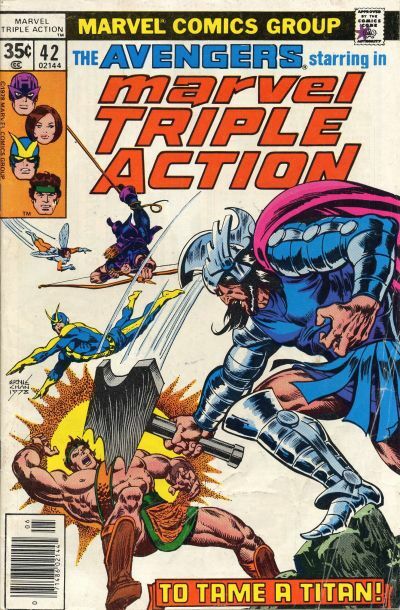 I’m not sure who lettered “To Tame a Titan!” but I think it might be by Jim Novak, and it’s on the cover of MARVEL TRIPLE ACTION #42 dated June 1978. 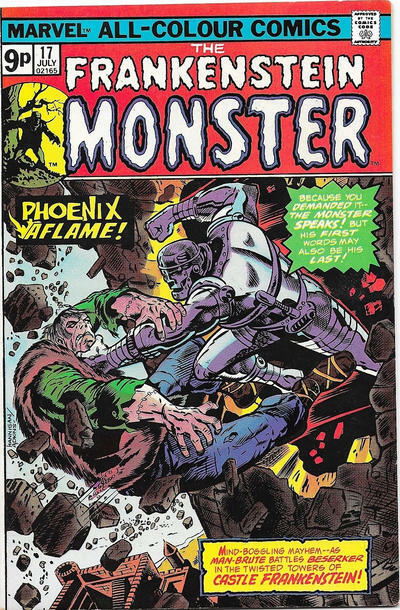 “Big Blazing Battle Ish” is by Gaspar and it’s on MARVEL CHILLERS #5 dated June 1976. 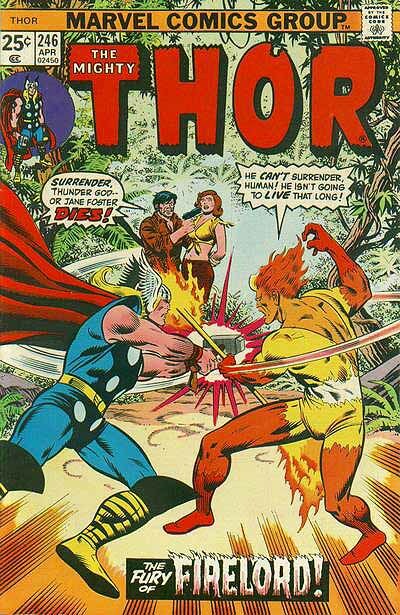 Gaspar also lettered this handsome caption for THOR #246 dated April 1976. Even the black caption box can’t kill that cool flaming lettering. 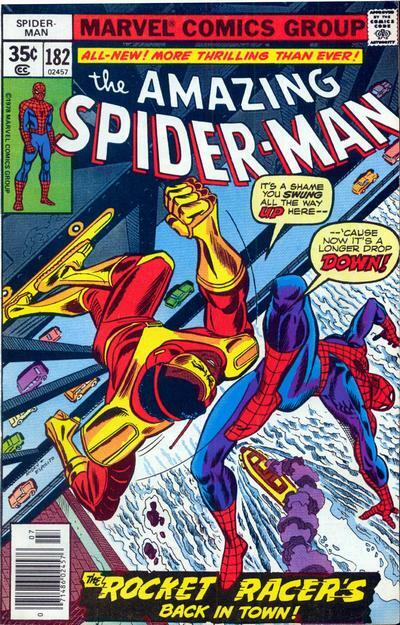 I can’t find “This City Afire!” by Danny on a cover, but I think it was created for this cover, MARVEL TWO-IN-ONE #17 dated July 1976, as that’s the title of the story, and then replaced with a different caption. 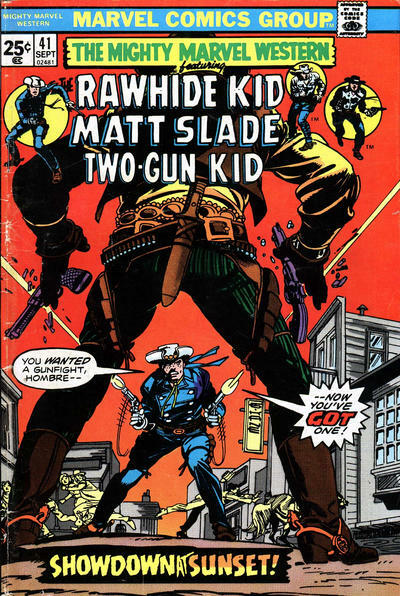 Or possibly it was a next issue teaser at the end of issue #16. 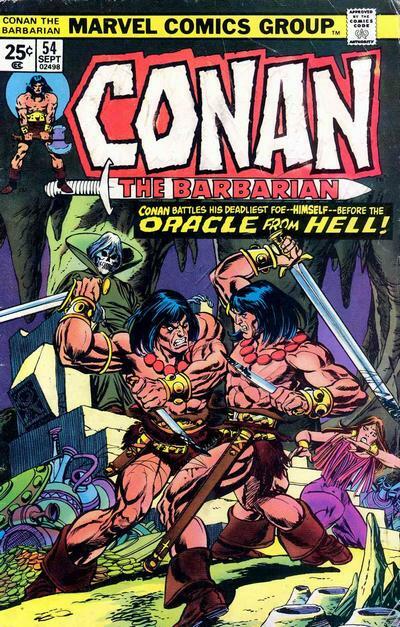 This blurb is by Gaspar on CONAN THE BARBARIAN #54 dated Sept. 1975. It loses impact as reverse lettering on black for the top line, but I think that allows it to fit in the space better. FInally we have “Castle Frankenstein” in a nice torn paper caption box by Gaspar on FRANKENSTEIN #17 dated July 1975. Whew, a lot of them on page 72! More of these when I have time. This entry was posted in Danny Crespi Files, Lettering/Fonts on April 6, 2019 by Todd.